The 2013 Summit's main purpose was to bring SARRAH Members face-to-face with key Parliamentarians to highlight the neglect of allied health services across Australia. This included the Assistant Health Minister, Senator Fiona Nash, independents Andrew Wilkie, Senator Nick Xenophon, Senator John Madigan and and advisor to Social Services Minister Kevin Andrews, Kathy Casey. SARRAH delegates personally presented their own case studies that highlighted the impact of under resourcing of allied health people residing in the bush. In some meetings, politicians were visibly moved by the stories they heard from the delegates, especially in the mental health and childhood disability areas. Many delegates also took part in a communications workshop on effective key messages, which they were able to put into practise when meeting with politicians over the three days. A lunch meeting with the Assistant Health Minister, Senator Fiona Nash, gave delegates confidence in a positive working relationship with the Australian Government. Senator Nash's own rural background brought an instant level of understanding about the gaps in allied health services across Australia. Senator Nash took the time to ask each delegate to introduce themselves and which part of Australia they came from, before showing great interest in the case studies they presented. She indicated that she was willing to work with SARRAH to progress our vision. The presentation of the 2014 Kate Scanlon Award to Madeline Davey, a speech pathology student from Bridport in Tasmania. Madeline flew to Canberra especially for the day and thanked SARRAH for the opportunity to further her new career with her prize money. She plans to use her $5,000 prize to work with children with disabilities at the St Giles centre in Launceston in 2014. SARRAH has two powerful friends in the Senate and House of Representatives - South Australian independent Senator Nick Xenophon and Independent Member for Denison Andrew Wilkie. Both agreed to work with SARRAH in the new Parliament. Senator Xenophon was very interested in SARRAH's case studies showing the failed business model that exists for many rural and remote private practitioners to run financially viable clinics. Mr Wilkie was also interested in the case studies, and offered to play an active role in SARRAH's plan to launch a Parliamentary Friendship Group for rural allied health (see item below). Delegates discussed the concept of establishing a Parliamentary Friendship Group to raise the profile of rural allied health as well as improving the health and well-being of people residing in the bush. Similar groups exist for health issues such as diabetes and palliative care. Mr. Wilkie worked hard to launch the Group in 2014 which has since met twice at Parliament House. The tabling of the SARRAH Annual Report at the Annual General Meeting (AGM) showed that SARRAH managed a total revenue stream of $13.5 million in 2012-13. Of that, $9.2 million was directed towards scholarship funding. For the 2013 academic year, SARRAH awarded 869 scholarships for all five allied health streams of the Nursing and Allied Health Scholarship and Support Scheme. However, demand still outstrips supply - 3197 allied health students and professionals applied for a scholarship between 2010 and 2013. At the AGM, Ruth Chalk was also re-appointed unopposed as Honorary Treasurer of SARRAH. The recommendations of SARRAH's 2012 Conference were prioritised by Summit delegates to pinpoint SARRAH's key messages and advocacy priorities for the coming year. It was agreed that the number one priority should be the call for government to fund a national allied health database to identify service gaps across Australia and to assist with workforce planning into the future. A funding submission to carry out this study is now with the new government in Canberra, which is expected to announce its funding allocations early in 2014. Health Workforce Australia Executive Director Etienne Scheepers outlined his team's project for a national program of workforce innovation and reform that aims to encourage the development of new models of healthcare delivery and facilitate inter-professional practice. Dr. Scheepers also agreed to follow up on a suggestion that SARRAH membership fees be automatically deducted from Rural Health Professionals Program funds for allied health professionals to become a SARRAH member. Membership Recruitment and Marketing Sub-Committee - to focus on membership architecture (categories, inclusions, fees) risk analysis, costs (database, member benefit expenses). Member Engagement Sub-Committee - to strengthen and support network coordinator roles, improve member application processes, provide tools to support member political engagement and explore ways to sign up more scholars as members. Financial Diversification Sub-Committee - to focus on income diversification, developing a prospectus for potential donors/sponsors/partners, link with Friends of Parliament, upgrade the website to boost functionality. 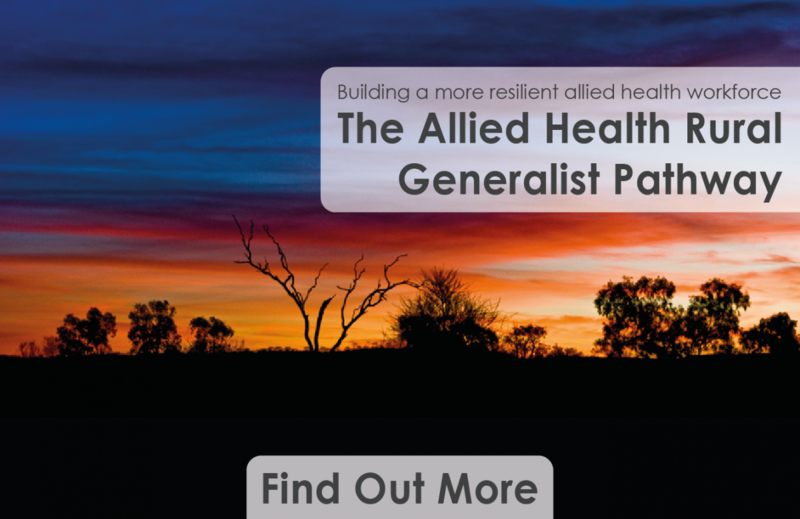 Strategic Alliance Building (not Sub-Committee) - to build relationships with various other stakeholders including consumers; Regional Development Australia, Rural Health Workforce Agencies, Future Health Leaders Group, University Departments of Rural Health, Parliamentary Friendship Group. Priorities and Strategy (not Sub-Committee) - to clearly articulate the process for updating SARRAH's priorities by identifying a 'portfolio lead' per priority area/topic. This was a highly successful Summit that gave politicians great insights into the reason SARRAH exists. Already, it has resulted in resubmitting to government a proposal to fund a national allied health workforce study and to develop the interest among key politicians to further the issues raised in the case studies.